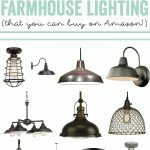 This post contains affiliate links, thank you for shopping the links that help to support this blog and our little Farmhouse Dining Room! Doesn’t it feel good to be in 2017. There is just something about stepping your first foot into the new year, a blank slate, full of possibilities. I’m not trying to get ahead of the ball here, but I’ve got a lot of personal and career goals for this year, and I’m ready to rock them all! 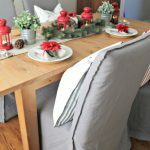 Each new year I get the itch to pack up all of our holiday decor, and transition into a simpler, cleaner, brighter, and more organized house. After many years, I’ve finally realized that my mind is at peace when our home is clean, and less stuff makes that goal easier to attain. My husband and I have a plan to go from room to room really cleaning out and trying to find the things we absolutely love and need. First, was the dining room. 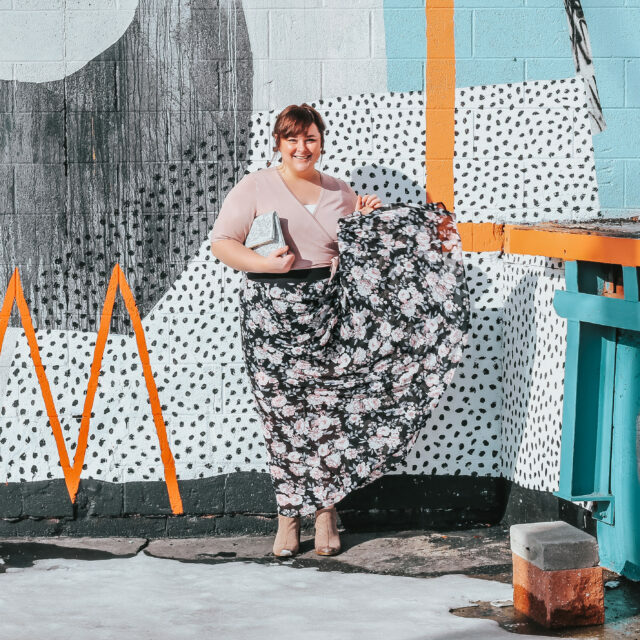 I cleared out everything we didn’t need – and I’m loving the bright, clean, look! There is still so much we’d like to do with this space, but we’re taking it one step at a time. I finally settled on the perfect farmhouse rug that I got for a steal on Amazon. And once I received it, and laid it down on the floor, it instantly tied the whole room together. It’s this awesome chunky weave with fringe, and it’s super affordable at just $100! The next update we’d like to make to the dining room is to swap out the lighting. The molding pictured below is original to our house, and I love it – so I want to keep that the same. But I have been searching for lighting that would better fit our space. Here are some replacement options I’ve found (I kind of love them all), so be sure to comment and let me know which is your favorite. I’d also really love to find a large piece to hang on the wall, maybe something like the wooden sign we have in our living room that has an uplifting message or phrase. Any way, I’m in no rush to getting everything crossed off our list, because the hunt for the perfect pieces are so much fun! Comment letting me know which of these four lighting option is YOUR favorite? I love that look! The thing that I find so great about this look is that it does a great job of being clean and bright without feeling stark. That’s key. That is such a lovely space. A lot of times, when people try to make a simple room, they also make it a sparse, cold room. You showcased a great balance of simplicity and warmth. I love it! This is BEAUTIFUL!!! I would love this for my house! I love farm decor! Its so simple yet so classy! 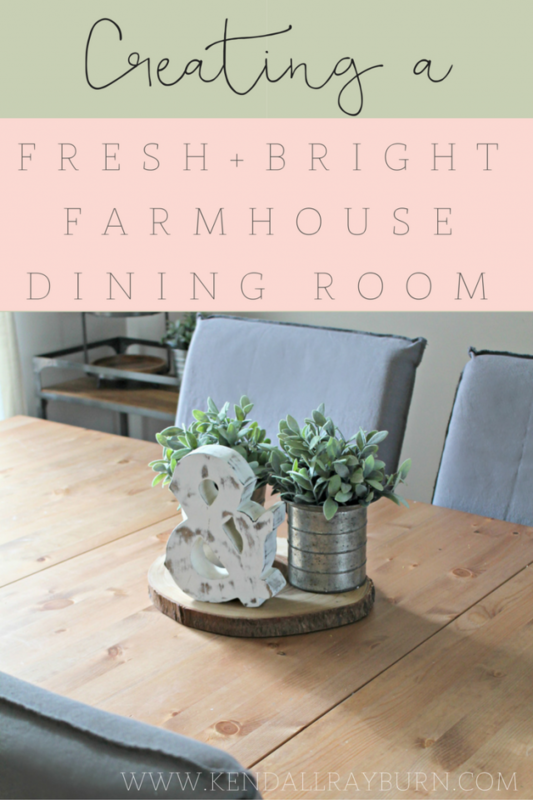 I love the idea of a farmhouse dining room. You put yours together so well! It is very rustic chic. That table is so gorgeous. I would love to have a dinning room that looks this good. I love the look of this dinning room. That table is stunning. 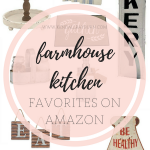 I have always loved the farmhouse look in any room. Your dining room looks amazing and I do love that light. 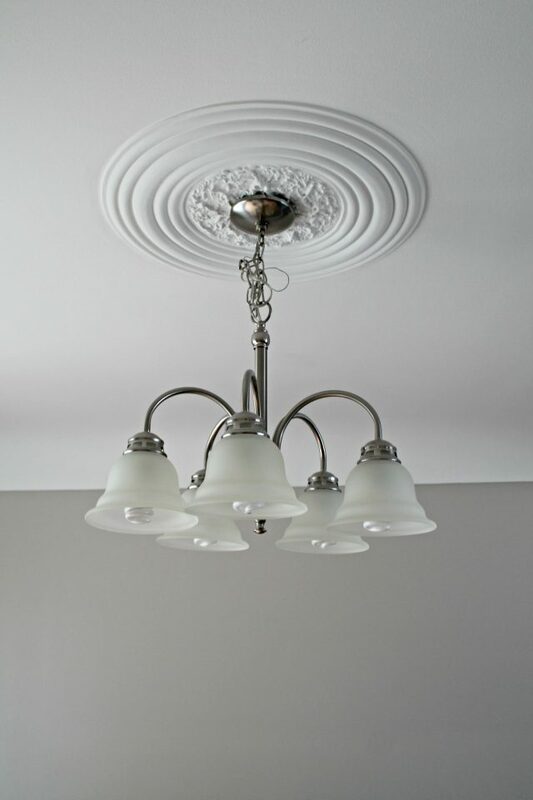 If I were to switch the light figure I would choose the Large Antique Whitewash Wood Bead Chandelier out of the four. Thanks for sharing. This place are eye-catching and quite peaceful. I’ll make sure to bring my family there one day. This farmhouse is such a great place for a couple. The table is really stunning. That is a very beautiful dining room. I would love to have one like this too. I love the farmhouse look. I was so excited to take down all the Christmas decor and have an uncluttered looking house. I just adore how fresh and clean your room looks. Perfect for a New Year! I truly believe that less is more. I love this – so simple and neat. And love that table centerpiece too. I love this look. I am a very simple girl and truly believe less is more. I love the old farmhouse style look too. Reminds me of being a kid and visiting my grandparents. I love your clean farmhouse look. Must know where you got that table, love it! I like the rustic chandelier the best. I love this look so much! 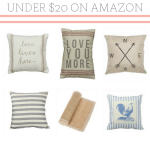 I am big into the primitive decor, but I find myself buying to many items with stars lol! 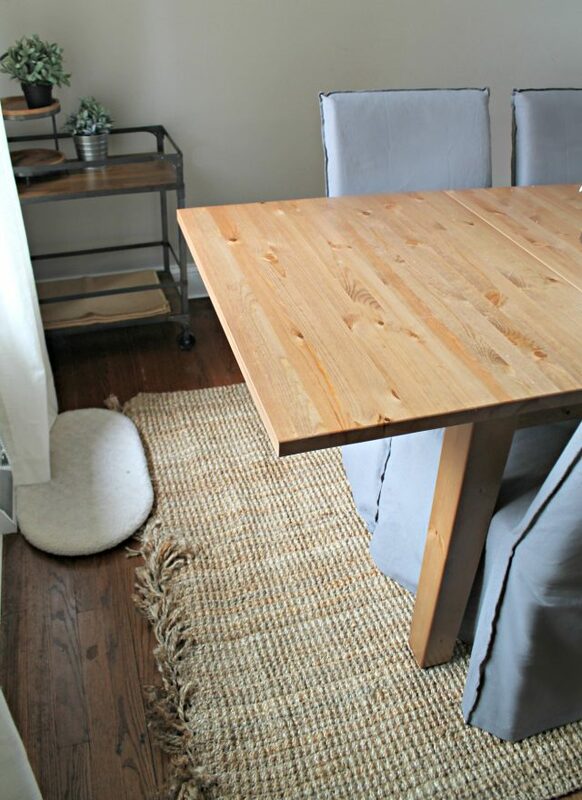 We made a really cool farm table this summer, this would be great to co ordinate around it. I LOVE the farmhouse look! 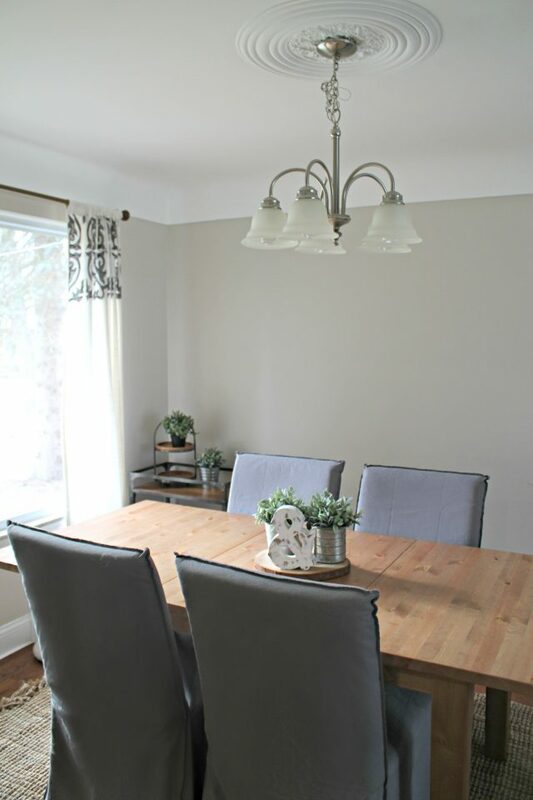 it’s my all time favorite look in home decor : ) thanks for the ideas to making the dining room look wonderful! 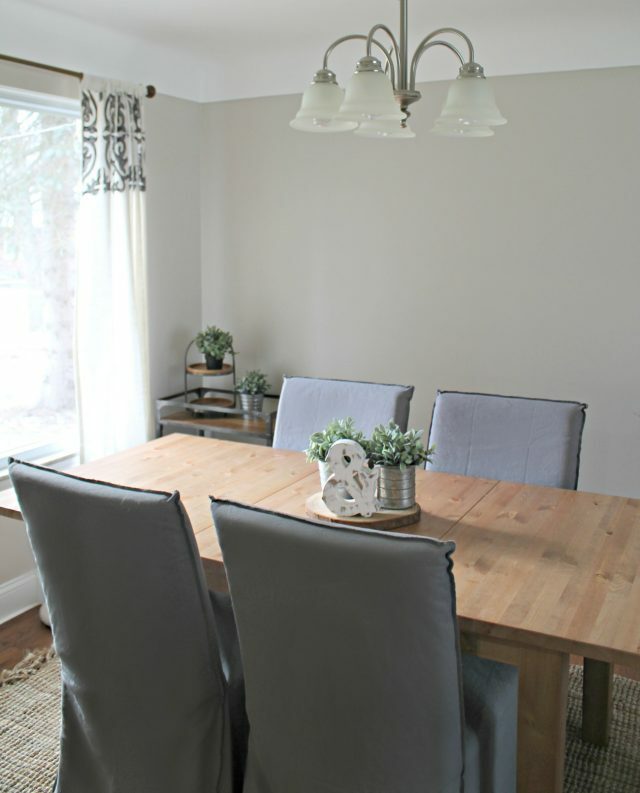 That is such a pretty dining room! 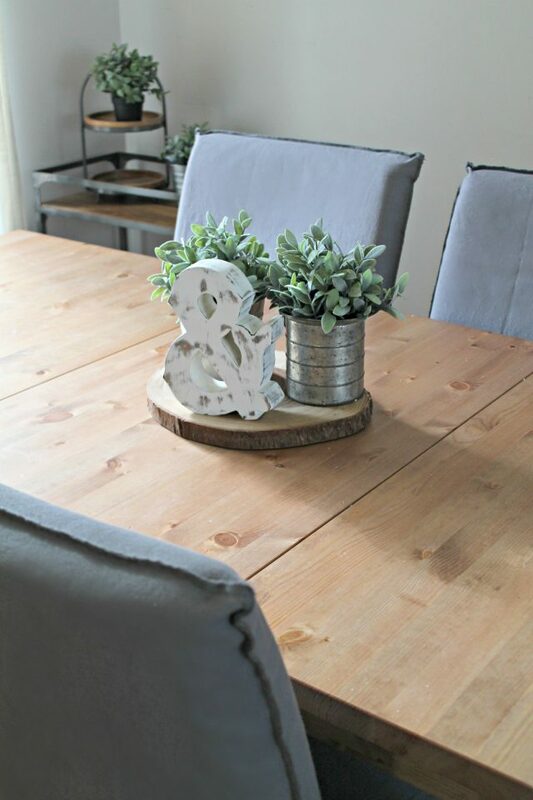 I love the dining room table!